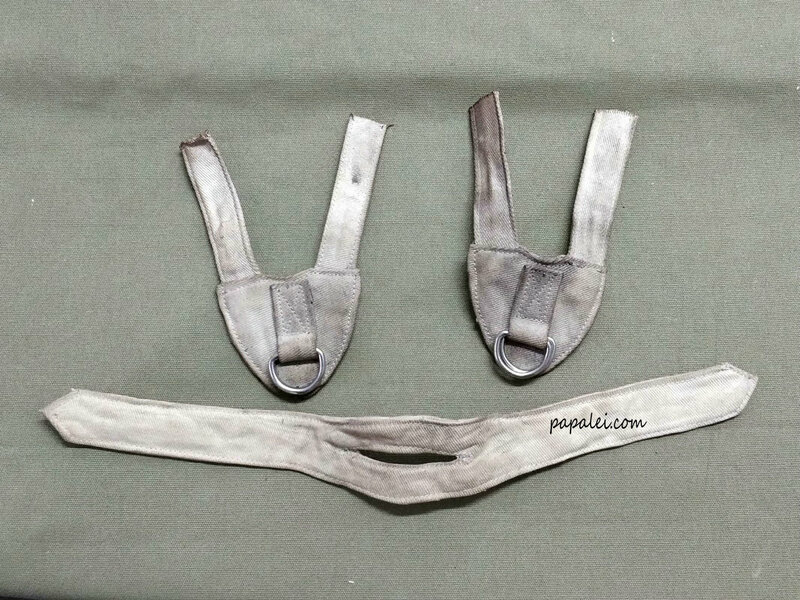 French parachutist Conversion Kit for US M1 shell, the TAP/EO system characterized by a piece of khaki canvas heart shaped runner on which 2 metal D rings are fixed under a flap to receive a khaki canvas made chin-piece..
those thick canvas (cotton croise'320) are made by cotton ,cut from old equipments. 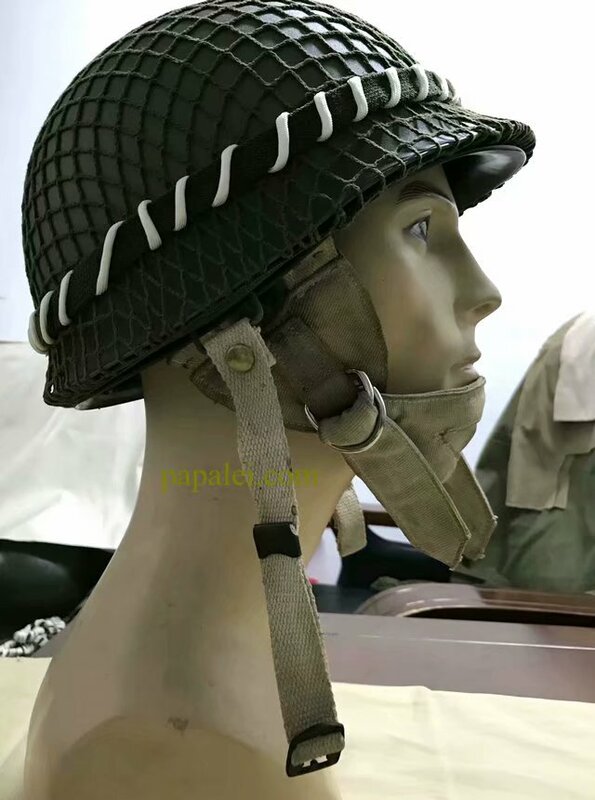 this pattern TAP/EO system ,which the heart shape is made in thick khaki canvas (cotton croise'320) , the chin-piece too. 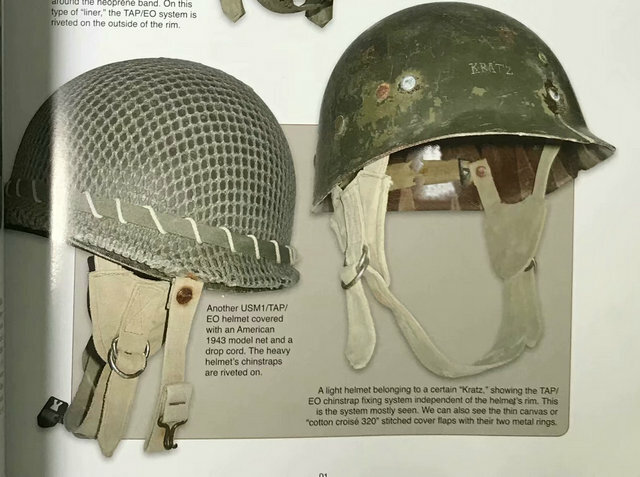 TAP/EO system is riveted independent of the US M1 helmet liner with brass rivets. 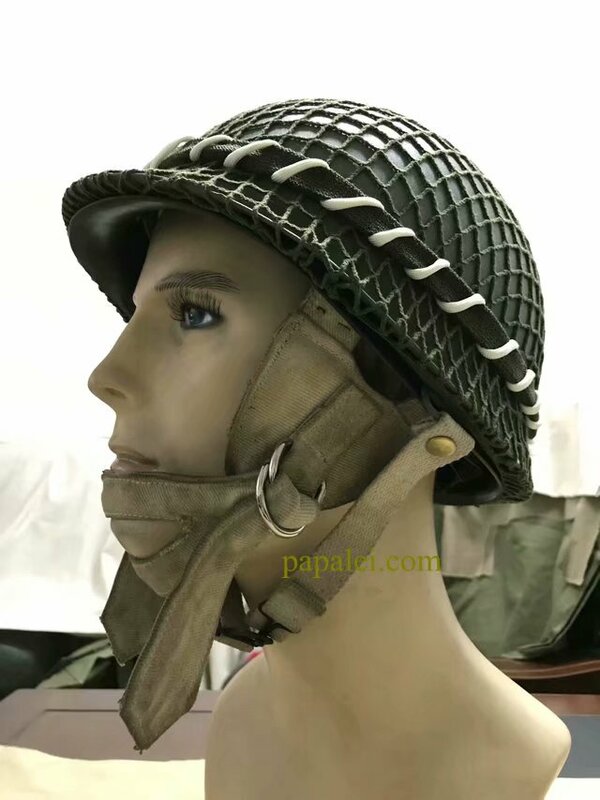 the haevy helmet shell's chinstraps are riveted on the shell's D ring with brass rivetes. to install this pattern system. 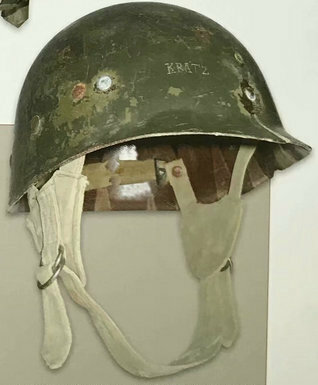 2 holes needed to be drilled on the liner.